French commandos tore through the desert north of Timbuktu on February 21, in hot pursuit of a leading jihadist who had been detected as part of a three-car convoy by a Reaper surveillance drone. As the commandos caught up, the militants opened fire. Five French helicopters moved in and quickly destroyed the convoy, killing 11, including the main target, Algerian Yahya Abu al-Hammam (a.k.a. Djamel Okacha), a top al-Qaeda financier and strategist (Jeune Afrique/AFP, February 22; Defense.gouv.fr, February 22). Al-Hammam was the second-in-command of Jama’at Nusrat al-Islam wa’l-Muslimin (JNIM), al-Qaeda’s Sahel/Sahara affiliate. There are reports that al-Hammam may have been ill and decided to seek medical treatment elsewhere (Malijet, February 23). According to a Malian security source, Abu al-Hammam had been tracked for three months through his telephone (AFP, February 22). Al-Hammam was the third JNIM leader to be killed within a year as French forces work to decapitate the JNIM leadership in the hopes of destroying the Salafi-Jihadist movement in the Sahara/Sahel region. The announcement of al-Hammam’s death came only hours before French Prime Minister Edouard Phillipe arrived in Mali, where French troops have been fighting militants and terrorists since 2013. An upbeat Phillipe told a gathering of French, Malian, British, and Estonian troops that they had “managed to destroy [the jihadists’] means of combat, to intercept their logistical flows, to dry up their resources… every day our enemies suffer significant losses…” (Ouest-France, February 24). 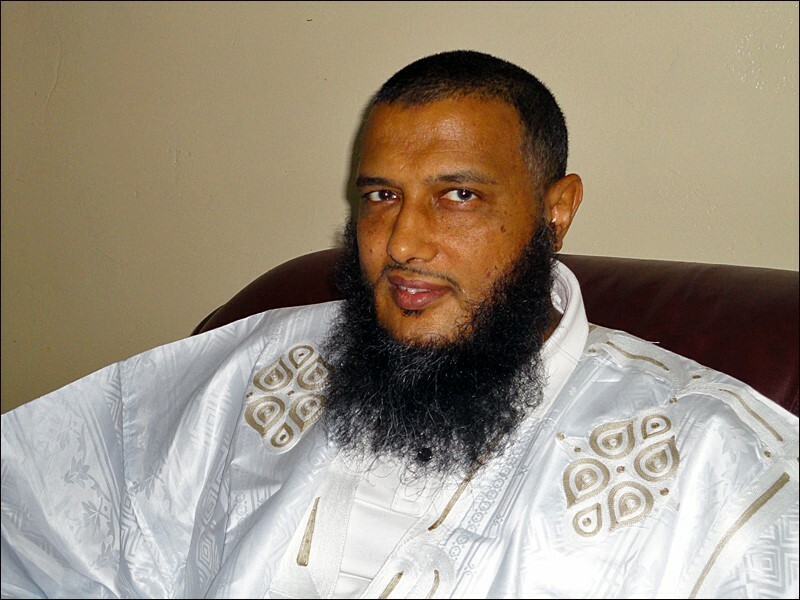 Born on May 9, 1978, in the Reghaïa commune of Algiers province, al-Hammam began his career in 1998 as a militant with the Algerian Groupe Islamique Armé (GIA – Armed Islamic Group) and later, after 18 months of imprisonment, the Groupe salafiste pour la prédication et le combat (GSPC – Salafist Group for Preaching and Combat). Al-Hammam arrived in northern Mali in 2004 with the controversial GSPC commander ‘Abd al-Razzak al-Para (Malijet, February 23). From bases there, al-Hammam left an explosive trail through Mauritania, where, under the direction of Mokhtar Belmokhtar and Abu Hamid ‘Abd al-Zaïd, he and his fellow militants exploited Mauritanian military weakness in a series of deadly attacks that killed dozens of Mauritanian troops between 2005 and 2008 (Malijet, February 23). In 2009 he was a suspect in organizing both the murder of American missionary Christopher Leggett and a suicide attack on the French embassy in Nouakchott, the Mauritanian capital. In 2009, as commander of the Katiba al-Furqan, al-Hammam ordered the assassination of Mali’s intelligence chief in northern Mali, the Timbuktu-based Colonel Lamana Ould Bou, a Bérabiche Arab. 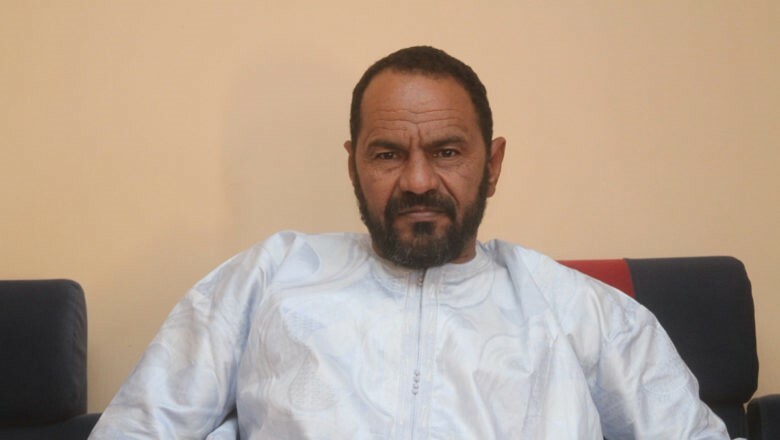 Though the killing was a setback for security forces, it reportedly provoked a disagreement between al-Hammam and his former sponsor, Mokhtar Belmokhtar, who had spent years cultivating relationships with the Bérabiche of northern Mali (Malijet, August 13, 2014). From 2009, al-Hammam became heavily involved with kidnappings, particularly those of Western tourists or workers. Al-Hammam led AQIM gunmen into Timbuktu in April 2012 as part of the Islamist uprising and occupation of northern Mali. As governor, he oversaw a rigidly strict Shari’a regime that destroyed much of the city’s Islamic heritage and applied corporal and capital punishments to its people for offenses against their interpretation of Islam. He was rewarded in October 2012 when AQIM leader ‘Abd al-Malik Droukdel (a.k.a. Abu Mus’ab ‘Abd al-Wadud) appointed al-Hammam the new amir of AQIM’s Saharan affiliate in October 2012. (Agence Nouakchott d’Information, October 4, 2012; Le Monde, February 22). Unlike many of his fellow militants, al-Hammam survived the 2013 French-led Operation Serval that dispersed the Islamists and assumed ‘Abd al-Hamid Abu Zaïd’s command when the latter was killed by a Franco-Chadian patrol in February 2013. The founding of JNIM: Yahya Abu al-Hammam (left), Iyad ag Ghali (center), Abu Hassan al-Ansari (right, killed by French forces in February 2018). Remaining aloof from the rival Islamic State group, al-Hammam appeared in the March 2017 video that announced the establishment of the al-Qaeda-affiliated JNIM alliance of four Sahara/Sahel jihadist groups under veteran Tuareg militant Iyad ag Ghali (al-Akhbar [Nouakchott], January 10, 2016, MaliActu, March 2, 2017). 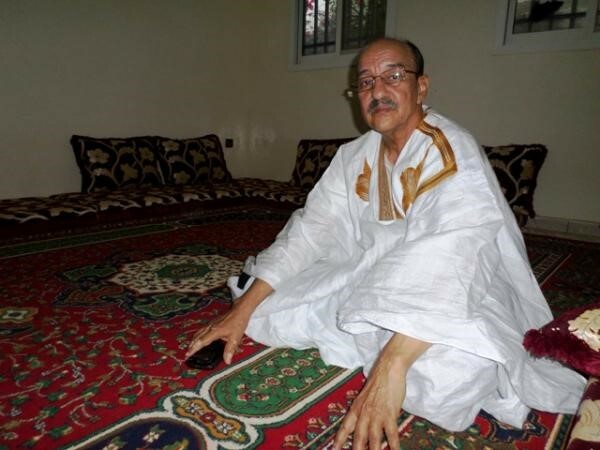 Al-Hammam last appeared in a November 8, 2018 video, in which he sat alongside ag Ghali as Amadou Kufa, the Fulani leader of the Force de libération du Macina (FLM – Macina Liberation Front), and called on his fellow Fulani to “make jihad” wherever they are (Le Monde/AFP, November 9, 2018). Two weeks later Koufa died in the Wagadou Forest after being mortally wounded by a French attack. With al-Hammam now gone as well, the priority of French forces will be the elimination of JNIM leader Iyad ag-Ghali. Al-Hammam could be succeeded by Abd al-Rahman Talha al-Libi, the current commander of the Katiba al-Furqan, though there are rumors that Talha may have been one of those killed in the attack on al-Hammam’s convoy (Malijet, February 23). This article was first published in the March 5, 2019 issue of the Jamestown Foundation’s Militant Leadership Monitor. 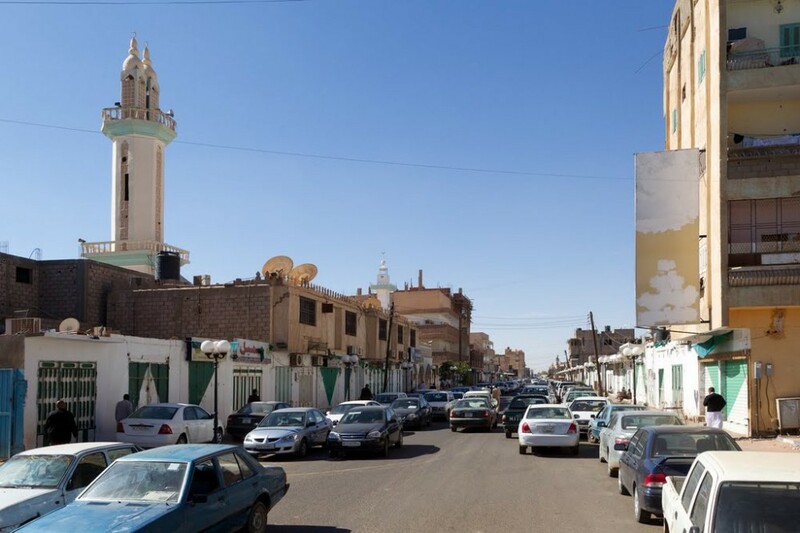 Mauritania – Will Islamist Crackdown Make It a Terrorist Target? When Mauritania’s President Mohamed Ould Abd al-Aziz identified political Islamists as extremists and national enemies of Mauritania last August, his bluntness surprised some observers: “Proponents of political Islam are all extremists… Islamists, who practice politics and wear ties, can take up arms if they cannot achieve their goals via politics” (Saudi Gazette, August 31). 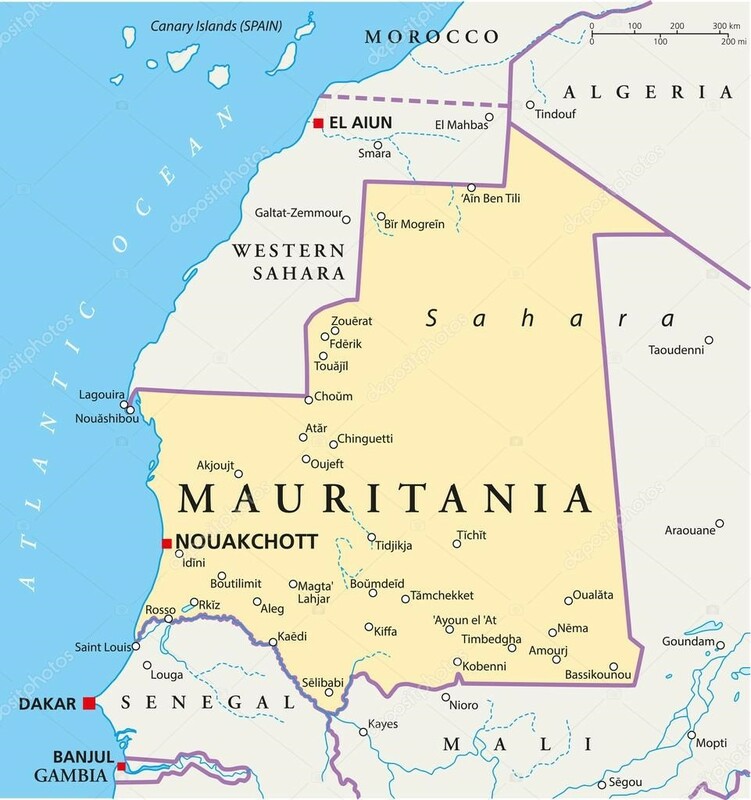 Faced with what authorities believe is religious and political interference in Mauritania by Iran and Qatar and the threat posed by jihadists lurking along the border with Mali, the president has undertaken several steps to scale back Islamist activities in Mauritania, including the closing of Islamic universities and moving towards a ban on the Muslim Brotherhood. Mauritanian troops are also now operating with the French-backed Sahel Group of Five (G5S – a regional security and development alliance that includes Mauritania, Chad, Mali, Niger and Burkina Faso) to tackle Islamist terrorism throughout the Sahara-Sahel region. However, Mauritania’s poverty and an unemployment rate of 40 per cent make it an inviting target for political interference and religious agitation. Elections last September gave the ruling Union pour la République (UPR) party a majority in Mauritania’s National Assembly. The president has promised to step down at the end of his second term in 2019, though some suspect he may still be considering a third term. Abd al-Aziz is expected to choose his own successor and may select a military man as Mauritania’s next president with the support of the solidly loyal UPR. Abd al-Aziz is a former UPR leader, but was required to officially step away from the party when he became president. The Mauritanian opposition has warned that the nation’s stability “will suffer if the next president again comes directly from the army ranks” (Arab Weekly, November 4). General Mohamed Ould al-Ghazouani is considered a favorite to succeed Abd al-Aziz, but his November 4 appointment as Minister of Defense may be a sideways move intended to derail his succession. It is suggested that Abd al-Aziz fears his post-presidency influence will evaporate under a strong president like Ould al-Ghazouani, while the more pliable Colonel Cheikh Ould Baya (currently speaker of parliament and a UPR stalwart) might be more acceptable as Abd al-Aziz’s successor (Arab Weekly, November 4). 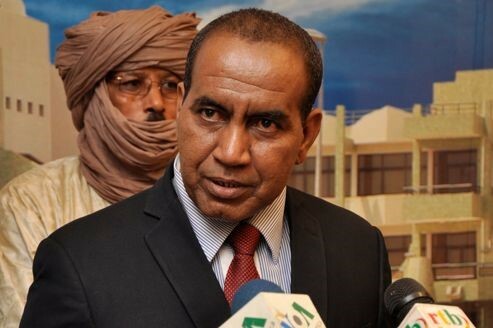 Leading Mauritania’s political opposition is the Rassemblement national pour la réforme et le développement (RNPRD), better known as “Tewassoul.” Mohamed Mahmoud Ould al-Sidi leads the party, which is closely associated with the Muslim Brotherhood. Abd al-Aziz claims that the Muslim Brotherhood has caused the destruction of several Arab countries,” adding that the Brothers are working inside the political opposition to divide and destroy Mauritanian society (Saudi Gazette, August 31). “[The authorities] are extrapolating the reality of other Islamists upon us. It is better for them to give proof and facts to back their accusations. The difference between us and the others is that we are inspired by Islamic values in our political activities while others are exploiting Islam for their political benefit” (Arab Weekly, September 30). In late September, authorities shut down two Islamic higher education institutions in Nouakchott, the Mauritanian capital. Both the University of Abdullah ibn Yasin and the Center for Training Islamic Scholars were believed to be closely tied to the Tewassoul Party. Mauritanian Muslim Brotherhood leader and prominent preacher Mohamed al-Hassan Ould Dadou was a leading faculty member at both institutions. The action resulted in student demonstrations and the arrest of two academics (University World News, October 2). The day after the closures, Ould Dadou did not attack the government directly, but used his Friday sermon to warn that Arab countries were being “destroyed by despotism and injustice, the main causes for the destabilization of nations” swept up in the Arab Spring (AFP, September 26). In preference to the opposition-affiliated schools, Ould Abd al-Aziz has stated his support for establishing an Islamic education center in Mauritania that would be affiliated with al-Azhar University in Cairo, a bastion of anti-extremism closely watched by the Egyptian government (MENA, March 19). Relations between Iran and Mauritania began to warm in 2008, after the military coup led by Abd al-Aziz and the consequent severing of relations with Israel. Since then, however, Mauritania has been pulled into the Arab-Iranian dispute in the Middle East and relations with Iran have suffered as a result. Iran’s ambassador to Mauritania was called into the Mauritanian foreign ministry on May 25, where he was informed the government would not accept any activities by the Iranian embassy intended to “change the doctrine or creed of Mauritanian society.” The ambassador was further informed that the state was appointing a new imam for the Shiite Imam ‘Ali mosque in Dar Naim (a suburb of Nouakchott), where scholarships were arranged for young Mauritanians to study at Shiite institutions in Iran and Lebanon (Sahara Media [Nouakchott], May 29). For its part, Iran denied the meeting ever took place, claiming Saudi Arabia was behind the “rumors” published in Mauritanian media (Fars News [Tehran], May 30). In early June, Mauritania was one of several Arab nations to join the anti-Qatar “Quartet” of Egypt, Saudi Arabia, Bahrain and the United Arab Emirates (UAE) in cutting diplomatic ties with Qatar over its alleged support for terrorism and religious extremism. A Mauritanian government spokesman, Mohamed Ishaq al-Kenti, claimed that Qatar was funding both Tewassoul and the Mauritanian Muslim Brotherhood (Egypt Today, September 8). UPR chief Sidi Mohamed Maham stated in October that “all Qatari attempts at intervention in [Mauritania] have failed… their bad intentions are clear towards the state of Mauritania” (al-Arabiya, October 5). Mauritania’s military struggle with modern jihadism began in June 2005, when militants belonging to Algeria’s Groupe Salafiste pour la Prédication et le Combat (GSPC) crossed the border and attacked the Lemgheity military camp in Mauritania’s far north, killing 17 soldiers before withdrawing with prisoners, weapons and vehicles. Only weeks after the 2008 military coup, gunmen from al-Qaeda in the Islamic Maghreb (AQIM) captured a Mauritanian patrol at Tourine. All 12 members of the patrol were decapitated and mutilated (Reuters, September 20, 2008; Tahilil [Nouakchott], March 21, 2011). The incident spurred General Ould Abd al-Aziz (then President of the High Council of State) and his old comrade, General Ould al-Ghazouani, to embark on an energetic program of reforms in the military designed to increase its efficiency, skills and operational capability. The two officers first met in 1980 at the Meknes military academy in Morocco and have operated closely ever since. The most important step in the military reforms was to create small but highly autonomous and mobile Groupements spéciaux d’Intervention (GSI) led by energetic junior officers. The GSIs, each consisting of about 200 men, are capable of finding and destroying jihadist groups from advanced positions. Arms that were once directed to presidential security units were diverted to increase the firepower of the GSIs (Jeune Afrique, November 8, 2017; Le Point Afrique, July 18). American weapons and coordination with the Mauritanian Air Force’s Brazilian-made A-29 Super Tucano light attack aircraft gave Mauritanian counter-insurgency operations a new punch. According to General Ould al-Ghazouni, military action in not enough: “We need development, to fight against the extreme poverty of a population that has no water, no food… There cannot be a rich army and a poor population” (Jeune Afrique, November 8, 2017). The general has identified several areas where military efficiency could be improved, including the provision of updated maps, a computerized operations room and technological training for recruits (Jeune Afrique, November 8, 2017). 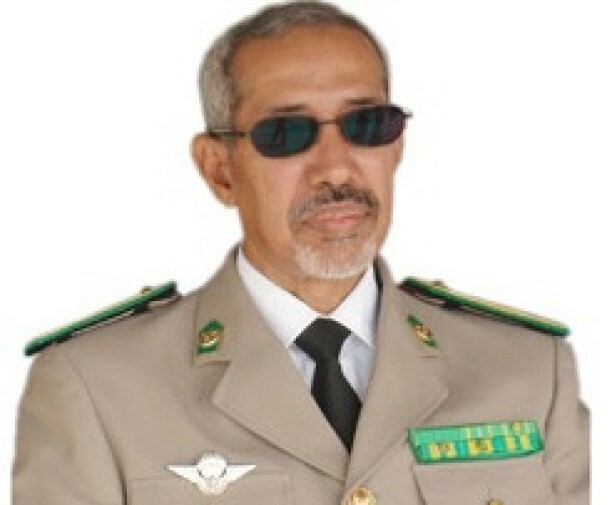 General Hanena Ould Sidi, who was also heavily involved in the post-2009 military restructuring, has noted it was also necessary to simultaneously strengthen the judiciary, promote development and intervene in Islamic education to discourage extremism and “to disseminate the good teaching of Islam” (Le Point Afrique, July 18). Improvements in military performance became visible in June 2011, when the army destroyed an AQIM base in Mali’s Wagadou Forest (70 km from the border) in an attack that left 15 militants dead. AQIM followed up with a retaliatory raid on the Mauritanian military base at Bassiknou, in the southeast corner of the country in July 2011, but a decisive Mauritanian air-strike the following October on the Wagadou Forest destroyed two vehicles loaded with explosives in preparation for another attack on Mauritanian positions. Local AQIM commander Tayyib Ould Sid Ali was also killed and AQIM operations against Mauritania tapered off after that. Though Mauritania’s military is still short of funding, training and advanced arms, it is fully committed to participation in the French-backed G5S anti-terrorist alliance. The total force consists of seven battalions; two each from Niger and Mali, and one each from Mauritania, Chad and Burkina Faso. 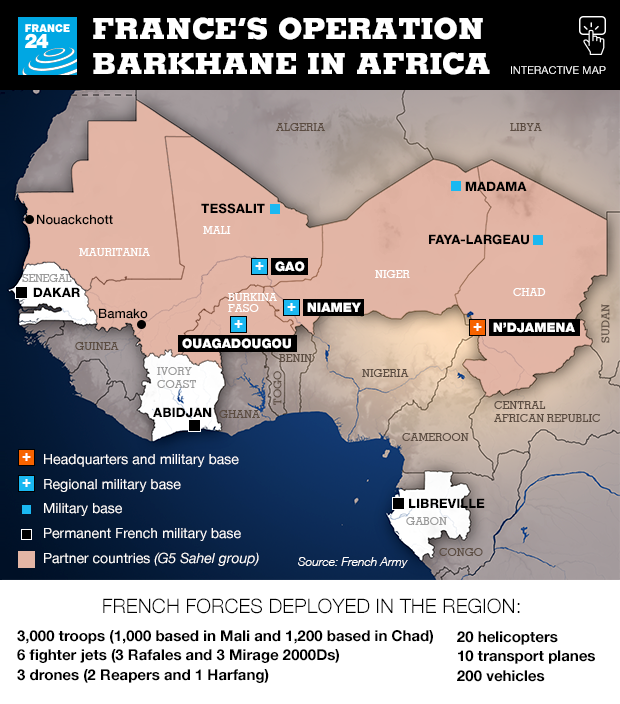 France provides intelligence and logistical assistance through its Operation Barkhane, a French counter-terrorist operation in the Sahara-Sahel region. Unlike its G5S partners, Mauritania does not allow French troops on its soil. The GS5 has three zones of operation. 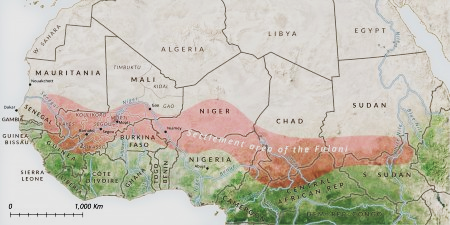 The first is the Mali-Mauritania border region, the second is the triangular border region shared by Mali, Niger and Burkina Fase, while the third zone is along the Niger-Chad border. Mauritania and Mali each contribute a battalion to the G5S’s Western Zone of operations. Mauritania has a history of cross-border military operations in northern Mali, endured with varying degrees of acquiescence from the weak Malian government. After a series of successful jihadi attacks in Mali and Burkina Faso (including a suicide bombing that destroyed the G5S headquarters), Mauritanian general Hanena Ould Sidi succeeded Mali’s General Didier Dacko as the G5S Joint Force commander in July. Ould Sidi studied at the Meknes military school in Morocco, commanded Mauritanian units in Cöte d’Ivoire and the Central African Republic (CAR) and is a former director of military intelligence in Mauritania (RFI, July 18). 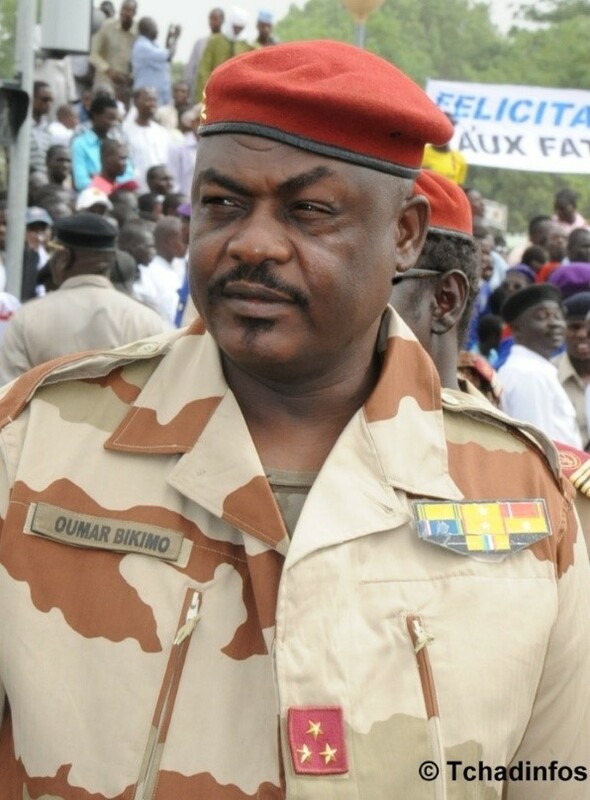 The new G5S second-in-command is American-educated Chadian general Oumar Bikimo, who has commanded Chadian troops in northern Chad, Mali and the CAR. After the attack on its HQ, the G5S decided to move its headquarters from Sévaré to Bamako, but is still awaiting an exact location from the Malian government. Funds pledged to the G5S have been slow to arrive and the force is still short of vitally needed equipment (L’Indicateur du Renouveau [Bamako], November 14). Typical of a career military man, President Ould Abd al-Aziz is taking a direct approach to the problem of political Islam, attempting to eliminate armed Islamists beyond Mauritania’s borders while forcing domestic Islamists to the political and religious sidelines of Mauritanian society. Meanwhile, the nation’s economic weakness, high unemployment and deep Islamic traditions make it attractive to extremists. The combination of a potential state-wide ban of the Muslim Brotherhood, an aggressive military stand against jihadism and uncertainty over the presidential succession could make Mauritania a target for exploitation from regional jihadist groups such as Jama’at Nusrat al-Islam wa’l-Muslimin, which is highly active just across the border with Mali. However, there are reasons why Mauritania might survive this period of uncertainty. There appears to be little internal support for armed Islamism at this time and regional jihadists do not appear to consider Mauritania a priority since their 2011 defeat in the Wagadou Forest. Much will depend on how far the president or his successor will go in attempting to root out Islamist influence in politics and education. The emergence of a significant degree of religiously-based internal dissent could act like a beacon for the region’s armed jihadists. United States Department of State, International Religious Freedom Report for 2017, https://www.state.gov/documents/organization/281008.pdf. This article first appeared in the December 19, 2018 issue of the Jamestown Foundation’s Terrorism Monitor. 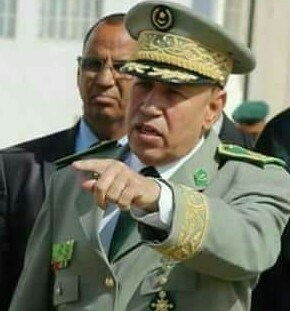 Lieutenant General Ali Kanna Sulayman, a member of the Tuareg ethnic group, ruled the military district of southwestern Libya during the Qaddafi era. Ali Kanna was forced from Libya into exile in Niger during the Libyan Revolution, but unlike many of his Tuareg Libyan Army comrades who joined rebel movements in northern Mali, Ali Kanna kept his eyes on Libya, waiting for a chance to reinsert himself as leader of a neo-Qaddafist movement in the Fezzan region. Since his quiet return several years ago, Ali Kanna has tried to organize a multi-ethnic “Army of the Fezzan” and succeeded in reasserting his authority in Tuareg-held regions of southern Libya while attempting to rally the Tubu and Arab tribes of Fezzan in a common cause. With the recent release of many leading Qaddafists from prison, Ali Kanna stands to be a major player in the gathering neo-Qaddafist revival. When the unit broke up in the latter stages of the revolution, those Tuareg members who did not return to Mali or Niger formed the Tendé Brigade in the Fezzan city of Ubari. The brigade would play a major role in the severe fighting that took place there against the Tubu in 2014. Most of the Sahelian Tuareg deserted Qaddafi as things began to look bad for the regime during the 2011 revolution. Ali Kanna fled to Niger rather than northern Mali, where the Tuareg, who had brought their arms with them, formed new rebel movements to establish the new nation of “Azawad.” General Ali Sharif al-Rifi, another committed Qaddafi supporter and his last air force commander, also fled to Niger, and the two generals settled temporarily in the historic city of Agadez. Al-Rifi later moved to the Niger capital of Niamey, where he associated with Sa’adi al-Qaddafi until the latter was deported to Libya in 2014. Al-Rifi was reported to have returned to his home in the Fezzan town of Waddan in June 2017, a sign that Qaddafists now feel it is safe to return to Libya (Libya Herald, June 18, 2017). In September 2013, a group of Fezzani elders met in Ubari to declare the establishment of Fezzan as an autonomous federal province of Libya in response to the inability of authorities to provide either services or security in the region. Most of those involved were Qaddafists but the initiative went nowhere, having failed to involve local communities and institutions (al-Arabiya, September 26, 2013; Libya Herald, September 28, 2013). After his return to Fezzan, Ali Kanna initially allied himself with the Misratan Third Brigade against the forces of “Field Marshal” Khalifa Haftar, a Qaddafist general who was repudiated by Qaddafi after his defeat and capture in Chad’s 1986-87 “Toyota War.” Understandably bitter over his treatment, Haftar was rescued from captivity by the CIA and brought to the United States to act as an asset-in-waiting should the United States commit itself to regime change in Libya. Never deployed for this purpose, Haftar returned to Libya during the revolution seeking to establish himself as a national strongman in the Qaddafi mold, accepting aid to accomplish this from anyone willing to offer it, including Egypt, the UAE and Russia. Ali Kanna made a bold move to reshape the political and military landscape of the Fezzan when he held a gathering of tribal and village representatives to ask the youths of every tribe to abandon their allegiances to various militias and join a new “Army of the Fezzan,” warning there was “a great threat to the people of the South” (Paris Match, May 22, 2016). The Fezzan Army would be loyal to the principles of the Jamahiriya rather than the GNA government in Tripoli or the rival HoR government in Tobruk (Middle East Eye, November 11, 2016). Ali Kanna appeared to make progress with his concept of a Fezzan Army independent of Libya’s rival governments in October 2016, when a group of southern Libyan National Army (LNA – a military coalition under the command of Khalifa Haftar) officers appointed him commander of the “Libyan Arab Armed Forces in South Libya.” General Ali Kanna was explicit that his new command would remain aloof from politics and would not support any government until the achievement of national unification. LNA headquarters treated the incident as a rebellion and sent General Muhammad Ben Nayel to surround and disarm the dissident officers (Digital Journal, October 9, 2017; Libyan Express, October 10, 2017). General Ben Nayel was commander of the LNA’s 12th Brigade and an important figure within the Arab Magarha tribe. Without sufficient support for the initiative, Ali Kanna changed course and declared he would work with any national army operating under a unified national leadership (Libya Herald, April 13, 2017). Of course, the establishment of such an army is still far from sight. There was speculation that Ali Kanna and other returning Qaddafists were seeking to carve out a new place for themselves in Libya by dedicating themselves to ridding Libya of Islamic State forces, even if this meant coming under the command of Khalifa Haftar. When Sa’if al-Islam Qaddafi was released from a Zintan prison in early June 2017 after six years imprisonment, there were reports of street celebrations in Sabha and a rumor that he had joined Ali Kanna in the Fezzan (Libya Herald, June 10, 2017). Sa’if, who was sentenced to death in 2015, is widely regarded as the most likely of Qaddafi’s surviving progeny to revive Qaddafism as a political ideology in Libya. Sa’if al-Islam’s release was followed by the release of 30 officers of Qaddafi’s army and other Qaddafi supporters from Hadba prison in Tripoli (Libya Herald, June 11, 2017). Days later Sa’adi Qaddafi, Abu Zayid Dourda (a chief administrator in Qaddafi’s government) and former intelligence chief Abdullah al-Senussi were transferred from prison to a luxury hotel in Tripoli where they were allowed to meet with supporters. Up to that point, al-Senussi, Qaddafi’s top enforcer, was awaiting his execution under a death sentence issued two years ago (Libya Herald, June 13, 2017; Arab News, February 22, 2017). General Ali Kanna (center) at the Ghat Ceremony. The green scarves symbolize the Qaddafist Jamahiriya state. 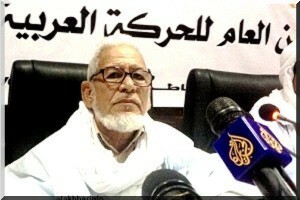 Ali Kanna expressed his continued devotion to the Libyan Jamahiriya (the Qaddafist state) on September 1, 2016 during a ceremony in Ghat to mark the 47th anniversary of the Libyan Revolution of 1969 (Lavoixdelalibye.com, September 24, 2016). Ali Kanna’s status was evident when he attended the ceremony marking the completion of the reconciliation agreement between the Tuareg and Tubu in May 2017. The agreement was the culmination of peace efforts started after a bitter conflict between the two groups nearly destroyed the Fezzan city of Ubari in 2014. Ali Kanna was reported to have played an important role in the Doha-sponsored mediation process after his 2015 return to Libya. In May 2017, the Misratan 13th Brigade (the former “Third Force”) conducted a peaceful handover of the Sharara oil field to Ali Kanna’s Tuareg militia, their former allies. Sharara was seized in 2014 by the Third Force and local Tuareg allies who forced out Tubu and Zintani militias (Libya Herald, May 25, 2017). Under pressure from local tribal militias, the 13th Brigade then evacuated Tamenhint Air Base north of Sabha, which was quickly occupied by the LNA’s 12th Brigade with support from the LNA’s 116th Brigade (Libya Herald, May 25, 2017). 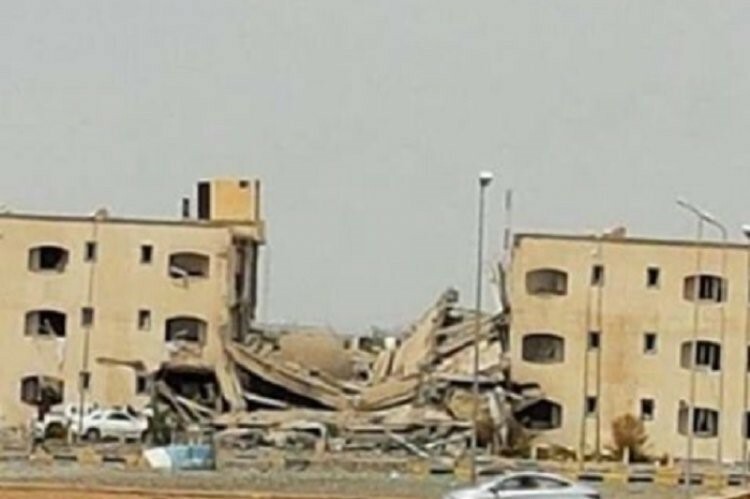 The 13th Brigade’s withdrawal was a major setback for the Misratan supporters of Libya’s internationally recognized government, the Tripoli-based Government of National Accord (GNA). Sa’if al-Qaddafi appears unlikely to abandon politics now that he has been released from prison, but restoring Qaddafism as an ideology in Libya will be slow and careful work. Part of these efforts will involve exploiting a relationship with Khalifa Haftar’s LNA and the GNA’s rival, the Tobruk-based House of Representatives (HoR) government, which has expressed a willingness to allow members of the Qaddafi regime to re-enter public life. To complete his encirclement of Tripoli and the GNA, Haftar needs support in the Fezzan, the last region to fall to the anti-Qaddafi revolutionaries in the 2011 revolution. The vast oil and natural gas reserves of the Murzuq Basin and Fezzan’s al-Sharara and al-Fil oil operations are also major strategic assets of immense value to whoever controls them. In the meantime, Ali Kanna, who is widely believed to have close ties to Algerian intelligence , can offer protection to Sa’if al-Qaddafi and a potential military base of veteran fighters capable of making Sa’if a political force in Fezzan to be reckoned with. Though this process remains fraught with uncertainty and a Fezzani population that is by no means solidly pro-Qaddafist, the resurgence of General Ali Kanna Sulayman will continue to go hand-in-hand with the revival of Qaddafism in post-revolution Libya. 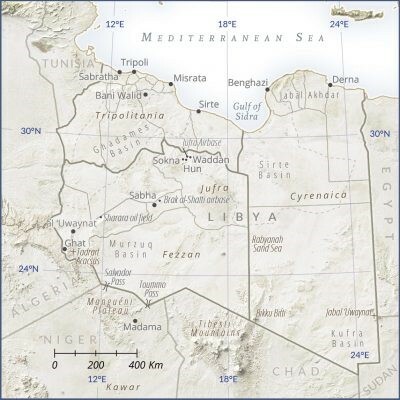 Wolfram Lacher, “Libya’s Fractious South and Regional Instability,” Small Arms Survey Dispatch no.3, February 2014. Rebecca Murray “Southern Libya Destablized: The Case of Ubari,” Small Arms Survey Briefing Paper, April 2017, fn. 85. Canada’s Trudeau government announced last summer that it was prepared to deploy up to 600 troops on a UN peacekeeping mission, likely in Africa. In the meantime, no movement has been made on the pledge, much to the disappointment of the UN and Canada’s allies, who were holding the leadership of the Mali peacekeeping mission open for a Canadian officer. Now, however, a non-UN alternative has emerged, one that is desperately needed and has both a military and development component – the Sahel Group of Five (SG5). It is perhaps not surprising that no decision has been made regarding a Canadian peacekeeping force in Africa. While Foreign Minister Chrystia Freeland speaks of a need for Canada to set a “clear and sovereign course” independent of the United States, both Prime Minister Trudeau and his defence minister Harjit Singh Sajjan have emphasized the importance of consulting Washington before making any decision. Given the Trump administration’s disengagement from Africa and the urgency of a military contribution in Africa, such deference seems unnecessary and counterproductive. In the Sahel, a broad band of arid nations just below the Sahara, political and religious extremism feed off climate change, lack of development, absence of infrastructure, competition for resources and ethnic rivalries, leaving the region in dire need of external assistance and internal reform. Meanwhile, efforts to address these issues are restricted by al-Qaeda and Islamic State terrorism paid for by trafficking in narcotics, migrants and other “commodities.” The region’s barely existent borders make a mockery of unilateral efforts by weak states to address the crime and violence. 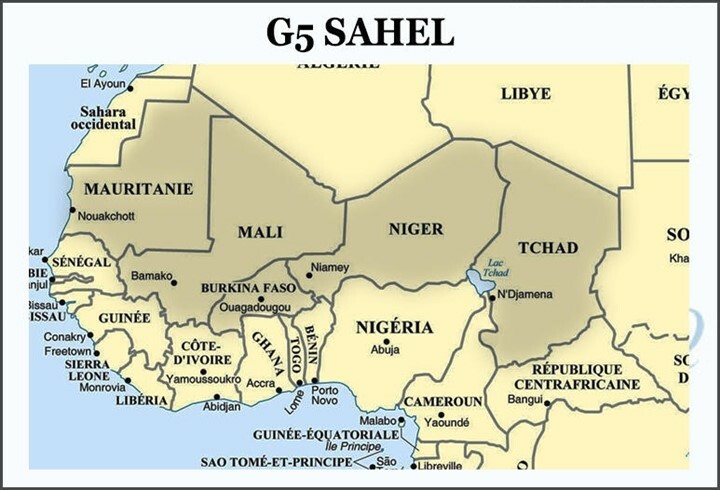 With the encouragement of France, the Sahelian nations of Mali, Burkina Faso, Niger, Chad and Mauritania created the Sahel Group of Five (SG5) as a multilateral response to these issues in 2014, though the concept remained dormant until its revival last February. While the force’s mandate calls for a campaign against terrorism and trafficking, it also calls for the return of displaced persons, delivery of aid, facilitation of humanitarian operations and a role in implementing development strategies. Each nation will initially provide a battalion of 750 men aided by French training, communications and logistical support. The military component will operate in all five countries, with the right of “hot pursuit” across international borders. The first military leader of the force will be Malian chief-of-staff General Didier Dacko, an experienced and capable veteran of counter-terrorist and counter-insurgency operations. The UN Security Council unanimously “welcomed” a resolution calling for the formation of the force on June 21, though US pressure prevented approval for its deployment under a UN mandate, which would have involved UN financing. The Trump administration is seeking to reduce its contribution to UN peacekeeping costs but the US can still be expected to continue providing intelligence and logistical support for counter-terrorist efforts in the Sahel. Putting the SG5 into action is expected to come with a budget of over €400 million. The EU has pledged €50 million, France €8 million (on top of a substantial military contribution) and each of the SG5 nations will contribute €10 million. France has additionally pledged €200 million in development assistance. Angela Merkel has also promised the support of Germany, which already has 650 troops in Mali and the United Arab Emirates have expressed interest in funding the initiative. The force will seek additional funding from “bilateral and multilateral partners” at a future donors’ conference. Other than France and Belgium, Canada is the only Western partner with a large military and civil French language capacity, making it ideal for deployment in the francophone Sahel. Canadian contributions in terms of combat troops, logistics, intelligence, training, humanitarian assistance and development planning would greatly reduce the unfunded portion of the SG5’s annual budget while simultaneously improving the capability of all these elements. Of the contributing Sahel nations, Chad is the most militarily effective, but existing commitments to the UN peacekeeping operation in Mali (MINUSMA) and the Multi-National Joint Task Force (MNJTF), a regional coalition formed to tackle Boko Haram in the Lake Chad Basin, have forced Chad’s President Idris Déby to warn that substantial assistance will be required for Chad to play its expected role in the SG5. Without Chad’s participation, the alliance stands little chance of battlefield success. Mali’s government has criticized MINUSMA for its “defensive posture, which has given freedom of movement to terrorist and extremist groups.” The UN’s peacekeepers in Mali have made only glacial progress implementing the terms of the 2015 peace agreement. The force suffers inordinate casualties while doing little to combat terrorism in the region, a task largely left to French troops operating outside of UN auspices. MINUSMA is hampered by the restriction of its operations to territory within Mali’s borders, while its terrorist opponents face no such limits. The SG5 addresses this problem. As the lone Western sponsor of the SG5 and the former colonial power in each of the participating nations, there is some anxiety that France will exploit the group for its own political and economic benefit. The presence of another less-interested sponsor could provide some balance and reassurance to those African nations already experiencing the strong influence of Paris in their affairs. It might also encourage a more favorable attitude to the force from Algeria, where the bitter legacy of the war for independence has led to great suspicion of all French security efforts in the Sahel. Of course participation would not be without problems. A Canadian commitment would have to be long term – creating a capable SG5 could take three years and creating a uniform military standard will be difficult. However, it need not be open-ended; the ultimate goal must always be for the Sahel nations to assume full responsibility. If funding is limited, security operations will almost certainly be treated as a priority over other aspects of the G5S mandate, based on the harsh reality that violent extremism undermines the effectiveness of all other programs as well as the sovereignty of regional states. At present, aid workers are regarded by the region’s militant groups as nothing more than easy prey and a source of funding through ransom. Integration of alienated groups into security and development operations will be essential if the SG5 is to be prevented from becoming a transnational occupation force. This cannot be achieved without offering economic alternatives to rebellion and cross-border crime, emphasizing the importance of the development component. Despite fears that France may be looking to draw down their African commitment, President Emmanuel Macron has pledged continued French support and has already visited the region twice to confirm this commitment. There is no doubt, however, that Paris is seeking to reduce its military expenditure in Africa – Operation Barkhane, its 4,000 man mission to provide security in the Sahara/Sahel region, costs €800 million per year. A religious adherence to UN peacekeeping as the only legitimate or desirable means of contributing to international security turns a blind eye to less rigid and more adaptive structures free of UN bureaucracy and inefficiency. For a Canadian government increasingly seen as soft on terrorism, unwilling to rescue or ransom its Canadian victims but eager to reward Canadian-born practitioners, the need for some sort of dedication to international counter-terrorism efforts might seem obvious. The SG5 provides an opportunity for Canada to stand beside its European allies, set an independent course from Washington and play a meaningful role in destroying Africa’s deadliest extremist groups while engaging in important development assistance where it is needed most. If Ottawa’s aim in African security operations is to encounter minimal difficulties and avoid casualties, the SG5 will not be for them. If, however, Canada is ready to give its highly capable military and development sector a real challenge with the potential of providing a secure future to some of the world’s most impoverished peoples, then it should take a serious look at the SG5 alternative. According to Foreign Minister Freeland, “it is precisely the countries that stand for values and human rights that also need to be ready to say we are prepared to use hard power where necessary.” If the world “needs more Canada,” the Sahel is in special need of a Canadian presence. Dr. Andrew McGregor is the Director of Aberfoyle International Security, a Toronto-based agency specializing in security issues in the African and Islamic worlds. Abstract: Alongside the Islamist struggle to reshape society in the Sahel through violent means is a second, relatively unnoticed but equally deadly conflict with the dangerous potential of merging with jihadi efforts. At a time when resources such as land and water are diminishing in the Sahel, semi-nomadic Muslim herders of the widespread Fulani ethnic group are increasingly turning to violence against settled Christian communities to preserve their herds and their way of life. Claims of “genocide” and “forced Islamization” have become common in the region. What is primarily an economic struggle has already taken on an ethnic and religious character in Mali. If Nigeria follows the same path, it is possible that a new civil war could erupt with devastating consequences for all of West Africa. The Fulani,a an estimated 25 million people, range across 21 African countries from Mauritania’s Atlantic coast to the Red Sea coast in Sudan, though their greatest concentration is found in West Africa’s Sahel region.b The Fulani speak a common language (known as Fulfulde or Pulaar) but, due to their wide geographical range, are known by several other names in their host communities, including Fulbe, Fula, Peul, Peulh, and Fellata. Virtually all are Muslim. Roughly a third of the Fulani continue to follow a traditional semi-nomadic, cattle-rearing lifestyle that increasingly brings them into conflict with settled agriculturalists at a time of increased pressure on resources such as pastureland and water. They are typically armed to protect their herds from rustlers, wild animals, and other threats, and in recent years, the ubiquitous AK-47 has replaced the more common machete as the weapon of choice. Nomadic patterns and a significant degree of cultural variation due to their broad range in Africa have worked against the development of any central leadership among the Fulani. Traditional Fulani regard any occupation other than herding as socially inferior, though millions now pursue a wide range of occupations in West Africa’s urban centers. Traditionally, Fulani herders would bring their cattle south during the post-harvest period to feed on crop residues and fertilize the land. Recently, however, environmental pressures related to climate change and growing competition for limited resources such as water and grazing land are driving herders and their cattle into agricultural areas year round, where they destroy crops.2 More importantly, the herders are now entering regions they have never traveled through before. The growth of agro-pastoralism, where farmers maintain their own cattle, and the expansion of farms into the traditional corridors used by the herders have contributed to the problem. The resulting violence is equal in both number and ferocity to that inflicted by Boko Haram’s insurgency3 c but has attracted little attention beyond the Sahel, in part because it is treated as a local issue. In late October 2016, Nigerian Defense Ministry spokesman Brigadier General Rabe Abubakar declared Boko Haram “100% defeated” and announced the launch of “Operation Accord,” a military campaign to “take care of the nuisance of the Fulani herdsmen once and for all.” 7 e Unfortunately, no mention was made of what kind of tactics would be employed to prevent ethnic nationalism and religious radicalism from further taking hold in the Fulani community. Delta State’s former commissioner of police Ikechukwu Aduba expressed exasperation with the growing crisis: “The problem is how do we contain [the herdsmen], especially with their peculiar mode of operation? The way these people operate is amazing. They will strike within five and six minutes and disappear… there is no way the police can be everywhere at the same time.”10 Difficult terrain and poor communications complicate the matter, but the continued inability of the state to provide a reasonable degree of security damages public trust in authority and encourages an armed response in previously peaceful communities. Nigeria: Economic Struggle or Religious Conquest? It is possible that some of those participating in the attacks on farming communities in Nigeria are former members of Boko Haram who trade in violence, but coordination with the group itself is unlikely. Boko Haram is dominated by Kanuri rather than Fulani, and the rights of cattle-herders have not figured prominently in the group’s Islamist agenda. Though many Boko Haram members are ethnic Kanuri, the Boko Haram insurrection never took on an ethnic character, and the movement’s leadership has never claimed one. Boko Haram’s identity and aims center on religion. The Fulani herders’ main concern is with access to grazing land, although they are susceptible to religious agitation. Boko Haram’s enemy (despite leader Abu Musab al-Barnawi’s recent calls for attacks on Christians) has always been the state. 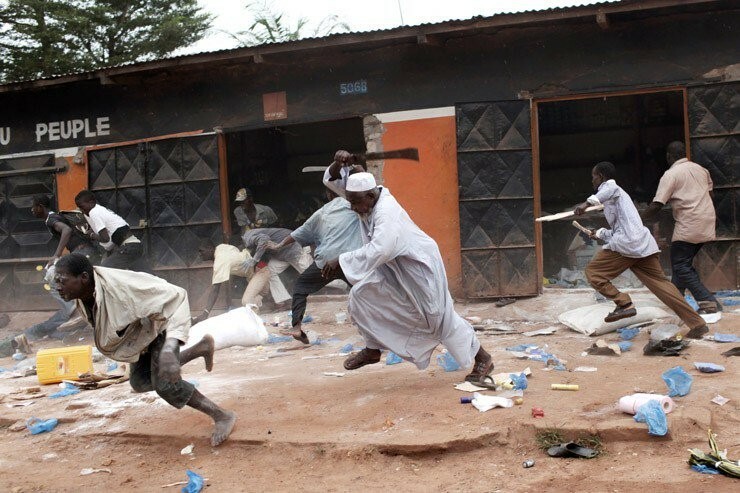 Armed Fulani groups generally avoid confrontations with the state. Like most insurgent movements, Boko Haram has a central leadership that is generally identifiable despite the movement’s best efforts to keep details murky. There is no guiding individual or committee behind the violence associated with the Fulani herders. Unlike other parts of the Sahel, there is a long tradition of Fulani “self-defense” militias in northern and central Mali. Known as Ganda Koy and Ganda Iso, these groups were generally pro-government in orientation but clashed repeatedly since 1990 with both separatist and loyalist Tuareg groups over land and access to water. In highly militarized northern Mali, Fulani gunmen have begun to form organized terrorist or ‘self-defense’ organizations along established local patterns. If this became common elsewhere, it would remove community decision-making from locally based “cattle associations” and hand it to less representative militant groups with agendas that do not necessarily address the concerns of the larger community. In this case, the Fulani crisis could become intractable, with escalating consequences for West Africa. 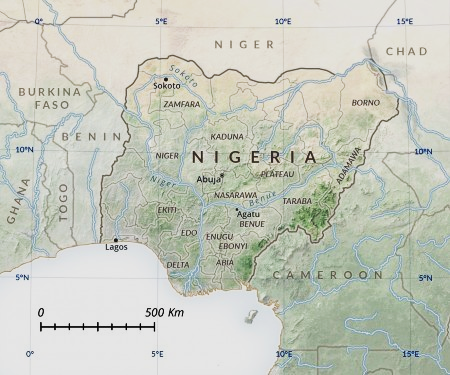 In Nigeria, the state is not absent, as in northern and central Mali, but it is unresponsive. A common thread through all the attacks alleged to be the work of Fulani herdsmen, rustlers, or vigilante groups is the condemnation of state inaction by victims in the face of violence. This unresponsiveness breeds suspicion of collusion and hidden motives, weakening the state’s already diminished authority, particularly as even elected officials urge communities to take up arms in self-defense. There continues to be room for negotiated solutions, but attempts to radicalize Muslim herders will quickly narrow the room for new options. Transforming an economic dispute into a religious or ethnic war has the potential of destroying the social structure and future prosperity of any nation where this scenario takes hold. For Islamist militants, the Fulani represent an enormous potential pool of armed, highly mobile fighters with intimate knowledge of local terrain and routes. In Nigeria, a nation whose unity and physical integrity is already facing severe challenges from northern jihadis and southern separatists, mutual distrust inspired by communal conflict has the potential to contribute to the outbreak of another civil war in Nigeria between northern Muslims and southern Christians and Animists. [a] This article is based on primary sources from West African media as well as environmental and anthropological studies of the region. [b] The Fulani/Peul are found in Nigeria, Benin, Egypt, Liberia, Mauritania, Sudan, Burkina Faso, Senegal, Togo, Guinea, Guinea-Bissau, Ghana, Mali, the Gambia, Cameroon, Sierra Leone, Guinea Bissau, Côte d’Ivoire, Niger, Chad, and the Central African Republic. [c] Boko Haram (a nickname for the group whose full name was Jama’atu Ahlis Sunna Lidda’awati wa’l-Jihad – People Committed to the Propagation of the Prophet’s Teachings and Jihad) changed its official name in April 2015 to Islamic State – Wilayat West Africa after pledging allegiance to the Islamic State movement. The West African Wilayat split into two groups after Islamic State leaders took the unusual step of removing Wilayat leader Abubakr Shekau. Shekau refused his dismissal and now competes with the “official” Wilayat West Africa led by Abu Musab al-Barnawi. “Boko Haram” continues to have wide popular usage for both factions. For more, see Jason Warner, “Sub-Saharan Africa’s Three New Islamic State Affiliates,” CTC Sentinel 10:1 (2017). [d] This is based on the author’s own observations of developments in the Sahel over the past 20 years. [e] One source declared the remarks were those of Chief of Defence Staff General Abayomi Olonishakin and were merely delivered by Brigadier Abubakar. See “Boko Haram is Gone Forever – CDS,” Today [Lagos], October 29, 2016. [f] Though 40 was the number reported in Nigerian media, VOA gave a figure of 15 based on official police reports. See Chris Stein, “Farmer-Herder Conflict Rises across Nigeria,” VOA News, May 11, 2016, and United Nations Human Rights Office of the High Commissioner, “Press briefing note on Mozambique and Nigeria,” April 29, 2016. [g] The Yoruba are a West African ethnic group found primarily in southwestern Nigeria and southeastern Benin (“Yorubaland”). The Yoruba are roughly equally divided between Christianity and Islam, with some 10 percent remaining adherents of traditional Yoruba religious traditions. Religious syncretism runs strong in the Yoruba community, inspiring local religious variations such as “Chrislam” and the Aladura movement, which combines Christianity with traditional beliefs. Protestant Pentecostalism, with its emphasis on direct experience of God and the role of the Holy Spirit, is especially popular in many Yoruba communities. Taye Obateru, “Plateau Massacre: We did it – Boko Haram; It’s a lie — Police,” Vanguard, July 11, 2012. Olakunie Michael Folami, “Climate Change and Inter-ethnic Conflict between Fulani Herdsmen and Host Communities in Nigeria,” paper presented at the Conference on Climate Change and Security, Norwegian Academy of Science and Letters, Trondiem, Norway, 2010. Yomi Kazeem, “Nigeria now has a bigger internal security threat than Boko Haram,” Quartz Africa, January 19, 2017. Muhammed Sabiu, “At the mercy of cow rustlers: Sad tales of Zamfara cattle rearers,” Nigerian Tribune, February 2, 2014. “Delta community women protest Fulani herdsmen’s invasion,” Vanguard, October 25, 2016. “Herdsmen attacks sponsored by politicians, says APC chieftain,” Vanguard, August 30, 2016. “Nigerian Military to launch operation against violent herdsmen,” News Agency of Nigeria, October 29, 2016; Akinyemi Akinrujomu, “Military begins plans to tackle Fulani herdsmen menace,” Naij.com, October 28, 2016; “Military to launch operation against Fulani herdsmen,” The Nation Online [Lagos], October 30, 2016. Francis Igata, “I alerted security operatives before Fulani herdsmen attack, says Ugwuanyi,” Vanguard, April 30, 2016; “The New Terror Threat,” This Day [Lagos], May 2, 2016; Ibanga Isine, “Interview: Benue ‘completely under siege by Fulani herdsmen’ – Governor Ortom, Premium Times [Abuja], October 3, 2016. Shehu Umar, “Violent crimes sparking Hausa vs. Fulani clashes in Zamfara,” Daily Trust, October 15, 2016. Evelyn Usman, “Menace of Fulani herdsmen: A nightmare to police too,” Vanguard, February 27, 2016. “Buhari’s islamization agenda is real, he is implementing it gradually – Igbo Leaders,” Daily Post [Lagos], October 6, 2016. Danielle Ogbeche, “Stop making noise about Fulani herdsmen, Islamization – Sultan of Sokoto,” Daily Post [Lagos], October 11, 2016; Jasmine Buari, “Sultan of Sokoto speaks on the herdsmen-farmers conflict,” Naij.com, October 10, 2016. Sale Bayari, “Herdsmen vs the Military – Don’t Use Force,” Daily Trust, November 2, 2016. “Fulani herdsmen moving with guns are foreign terrorists, says Sultan,” Vanguard, September 12, 2016. Moses E. Ochonu, “The Fulani herdsmen threat to Nigeria’s fragile unity,” Vanguard, March 18, 2016. Joshua Sani, “10 States allocate grazing lands to herdsmen,” Today [Lagos], August 24, 2016. John Ameh, Femi Atoyebi, Sunday Aborisade, Kamarudeen Ogundele, Jude Owuamanam, Mudiaga Affe, Femi Makinde, Gibson Achonu, and Peter Dada, “N940m grazing reserves for herdsmen: Lawmakers fault Buhari,” Punch, May 21, 2016. Seun Opejobi, “Just like farmers; Fulani herdsmen have the right to live,” Daily Post [Lagos], November 1, 2016. Paul Obi, “Southern Kaduna Cries Out Over Fulani Persecution,” This Day [Lagos], October 11, 2016. “The Mission of Fulani Herdsmen,” Guardian [Lagos], October 30, 2016). Omololu Ogunmade, “Senate Rejects Grazing Reserve Bill, Says It’s Unconstitutional,” This Day [Lagos], November 10, 2016. Ebenezer Afanyi Dadzie, “Joint police-military team storm Agogo to flush out Fulanis,” Citifmonline.com, February 4, 2016. “Fulani menace will be fixed permanently – Mahama,” GhanaWeb, November 1, 2016. “Politicians overlook ranching law,” GhanaWeb, October 28, 2016. Senator Iroegbu, “Expert Proffers Solution to Fulani Herdsmen, Farmers Clashes,” This Day [Lagos], July 9, 2016. “War against Grazing: FCTA Prosecutes 16 Fulani Herdsmen, Impounds 32 Cattle, 38 Sheep,” The Whistler [Lagos], October 14, 2016. Ebuka Onyeji, “Abuja Administration Bans Movement of Cattle on Public Roads,” Premium Times, October 25, 2016. Olu Ojewale, “The Menace of Fulani Herdsmen,” Realnewsmagazine.net, April 7, 2014. Eromosele Ebhomele, “ARG warns Fulani herdsmen for threatening Ekiti people,” Naij.com, October 25, 2016. Eromosele Ebhomele, “Fayose urges Ekiti people to prepare for war against herdsmen,” Naij.com, October 26, 2016; Alo Abiola, “Fayose Holds Meeting with Herdsmen, Says No Grudge against Fulani,” Leadership [Abuja], November 2, 2016; Dayin Adebusuyi, “Farmers, Herders to be Grazing Law Enforcement Marshals,” Daily Trust, November 2, 2016. Eromosele Ebhomele, “Fayose urges Ekiti people to prepare for war against herdsmen,” Naij.com, October 26, 2016. Richard Ducayne, “Bishop Warns: Boko Haram Enlisting Herders as Fighters,” ChurchMilitant.com, August 10, 2016. Amy Furr, “Muslim Fulani Herdsmen Slaughter Dozens of Christians in Nigerian Village,” CSN News, October 27, 2016. “Mob attacks, burn 14 Fulani herdsmen in Kaduna,” Vanguard, October 17, 2016. Adams Abonu, “The Agatu Massacre,” This Day [Lagos], April 4, 2016; Omotayo Yusuf, “20 herdsmen killed, 83 cows slaughtered in Nasarawa,” NAIJ.com, May 2, 2016. Musa Abdullahi Kirishi, “National Assembly and price of rhetorics over Agatu,” Daily Trust, March 22, 2016; Emman Ovuakporie and Johnbosco Agbakwuru, “Agatu genocide: Benue lawmakers slam Buhari,” Vanguard, March 19, 2016. Abbas Jimoh, “Muslim rights group alleges genocide against Fulanis,” Daily Trust, April 22, 2014. Tony Adibe, Hope Abah, Andrew Agbese, and Adama Dickson, “‘115 Grazing Reserves in Nigeria Taken Over’ – Miyetti Allah,” Daily Trust, May 8, 2016. Tope Fasua, “Da Allah, cows are not Nigerian citizens,” Daily Trust, May 15, 2016. “Herdsmen deadly attacks stalled Agatu’s constituency projects, says lawmaker,” Pulse News Agency, February 1, 2017; Petet Duru, “Benue farmers/Fulani herdmen renewed clash claims 15 lives,” Vanguard, January 24, 2017; Hembadoon Orsar, “Many Feared Dead in Fresh Herdsmen Attack on Benue Village,” Leadership [Abuja], January 24, 2017. For Mali’s armed groups, see Andrew McGregor, “Anarchy in Azawad: A Guide to Non-State Armed Groups in Northern Mali,” Jamestown Foundation Terrorism Monitor, January 25, 2017. Yvan Guichaoua, “Mali-Niger: une frontière entre conflits communautaires, rébellion et djihad,” Le Monde, June 20, 2016. “Mali: Abuses Spread South: Islamist Armed Groups’ Atrocities, Army Responses Generate Fear,” Human Rights Watch, February 19, 2016. “Violence in northern Mali causing a human rights crisis,” Amnesty International, February 16, 2012. Ibrahim Keita, “Mali: Iyad Ag Ghaly affaibli, abandonné par Amadou Koufa!” MaliActu, January 7, 2017; O. Kouaré, “Mali: Amadou Kouffa; pourquoi il a trahi Iyad Ag Ghaly,” MaliActu, January 20, 2017. Idrissa Khalou, “Mali: Amadou Kouffa et l’Etat Islamique: ‘Creuse un trou pour ton ennemi, mais pas trop profond, on ne sait jamais,’” MaliActu, January 6, 2017; Boubacar Samba, “Mali: L’Etat Islamique du Macina,” MaliActu, January 7, 2017. “Al-Mourabitoune dévoile l’auteur de l’attaque de Gao,” al-Akhbar, January 18, 2017. 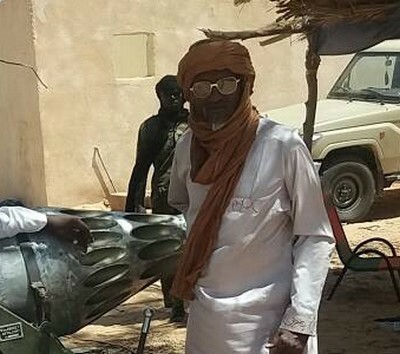 “Mali: Al-Mourabitoune diffuse une photo des assaillants du Radisson,” RFI, December 7, 2015. “Al Qaeda names fighters behind attack on Burkina capital,” BBC, January 18, 2016; Morgane Le Cam, “Un an après l’attentat de Ouagadougou, le point sur l’enquête,” Le Monde, January 16, 2017. See also Andrew Lebovich, “The Hotel Attacks and Militant Realignment in the Sahara-Sahel Region,” CTC Sentinel 9:1 (2016). Mohamed Abdellaoui and Mohamed Ag Ahmedou, “Les Peuls, un peuple sans frontières qui accentue l’embrouillamini au Sahel,” Anadolu Agency, April 7, 2016. Alpha Mahamane Cissé, “Attaque d’un camp militaire dans le centre du Mali, revendiquée par un mouvement peul,” Mali Actu/AFP, July 19, 2016; “Mali: un mouvement peul revendique l’attaque contre un camp militaire à Nampala,” Jeune Afrique/AFP, July 19, 2016. “Mali arrests senior jihadist blamed for military base attack,” AFP, July 27, 2016. Adam Thiam, “Hama Founé Diallo: Itinéraire d’un rebelle peulh,” Le Républicain, June 27, 2016; Kassoum Thera, “Mali: La plateforme des mouvements d’autodéfense s’enrichit d’une adhésion de taille: Les vérités amères du président de la Haute cour de justice,” Aujourd’hui-Mali, July 2, 2016. Rémi Carayol, “Mali: Hama Foune Diallo, mercenaire du delta,” Jeune Afrique, July 18, 2016. Amadou Carara, “Changement à la tête de la CMFPR: Kantao remplace Me Harouna Toureh,” 22 Septembre, January 30, 2014. Ibrahim Maïga, “Armed Groups in Mali: Beyond the Labels,” West Africa Report 17, Institute for Security Studies, June 2016. Youssouf Diallo, “Mali: Le président de la CMFPR2, Ibrahima Kantao, justifie son alliance avec le Mnla: ‘Pour la paix, nous sommes prêts à nous allier avec le diable,’” 22 Septembre, December 29, 2014. Achieving peace in northern Mali (known locally as Azawad) is complicated by the proliferation of armed groups in the region, each varying in purpose, ideology and ethnic composition. Personal and clan rivalries make cooperation exceedingly difficult even when political agendas match. MINUSMA peacekeepers and UN diplomats deplore this state of affairs, which prevents the establishment of a successful platform for negotiations, never mind implementing the 2015 Algiers Accords meant to bring peace to the region. As in Darfur, many of the factional “splits” are intended to place the leaders of self-proclaimed armed movements in the queue for post-reconciliation appointments to government posts. As a way of facilitating talks with a variety of rebel movements and loosely pro-government militias possible, most of the armed groups in northern Mali agreed in 2014 to join one of two coalitions – either the rebel/separatist Coordination des Mouvements de l’Azawad (CMA), or the pro-government Platforme coalition. Other armed groups devoted to jihad, such as-Qaeda, al-Murabitun and Ansar al-Din were deliberately excluded from the peace process and are not part of either coalition. The June 20, 2015 Algiers Accord between the Malian government and the armed groups in the north was pushed through by an international community tired of the endless wrangling between northern Mali’s armed political movements. As a consequence, it is widely regarded in the north as an imposed agreement that does not address the often subtle and deep-rooted grievances that fuel the ongoing conflict. MINUSMA’s deployment, expensive in terms of both money and lives, is seen by the rebels as providing quiet support for Bamako’s efforts to retake the north through proxies such as GATIA, while ignoring the concerns of rebel groups. Nonetheless, most of the armed groups in northern Mali can be brought together under one of five types: Pro-government militias (the Platforme); pro-independence or pro-federalism groups (the CMA); dissident CMA groups that have left the coalition; Salafi-Jihadist groups; and ethnically-oriented groups. Many of these groups break down further into brigades, or katiba-s.
Generally pro-government and/or favoring national unity, the coalition was formed in June 2014. The Coordination of Patriotic Resistance Fronts and Movements was established on July 21, 2012 as a collection of self-defence movements from the Songhaï and Fulani/Peul communities in the Gao and Mopti regions. 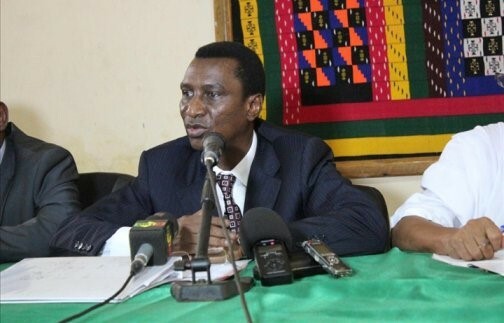 The CMFPR split into pro and anti-government factions after leader Harouna Toureh rallied to the government and was dumped in January 2014 as spokesman by the main faction, which remained in the opposition CMA coalition as CMFPR II (22 Septembre [Bamako] January 30, 2014). A Bamako-based lawyer, Toureh is currently defending former 2012 coup leader “General” Amadou Sanogo (Journal du Mali, December 2, 2016). The Imghad and Allied Touareg Self Defence Movement was established on August 14, 2014. The movement is composed mostly of vassal Imghad Tuareg locked in a struggle with the “noble” Kel Ifoghas Tuareg of Kidal. Many of its members are veterans of the Malian and Libyan armies. Although not a signatory to the Algiers Accord, GATIA is nonetheless the most powerful group in the Platforme coalition despite internal and international criticism that it is nothing more than an ethnic militia. GATIA has been involved in constant clashes with CMA forces since its creation and continues to put military pressure on the rebel coalition. Though Fahad Ag Almahoud is secretary general, the movement’s real leader appears to be Brigadier General al-Hajj Ag Gamou, an example of the close ties this group has with the Malian Army. The Arab Movement of Azawad – Bamako is a pro-Bamako faction of the MAA, led by Professor Ahmed Sidi Ould Mohamed and largely based in the Gao region with a military base at Inafarak, close to the Algerian border. The MAA is dominated by members of the Lamhar clan, an Arab group whose recent prosperity and large new homes in Gao are attributed to their prominent role in moving drug shipments through the country’s north. Some are former members of the jihadist MUJAO group. The split in the MAA is interpreted by some as being directly related to a struggle for control of drug-trafficking routes through northern Mali. The Movement for National Defense is a Fulani militia led by Hama Founé Diallo, a veteran of Charles Taylor’s forces in the Liberian Civil War and briefly a member of the rebel Mouvement National de Libération de L’Azawad (MNLA) in 2012. The MDP joined the peace process in June 2016 by allying itself with the Platforme coalition (Le Républicain [Bamako], June 27, 2016; Aujourd’hui-Mali [Bamako], July 2, 2016). Diallo says he wants to teach the Fulani to use arms to defend themselves while steering them away from the attraction of jihad (Jeune Afrique, July 18, 2016). Other military leaders include Abdoulaye Houssei, Allaye Diallo, Oumar Diallo and Mamadou Traoré. The Movement for the Salvation of Azawad was founded by Moussa Ag Acharatoumane, former MNLA spokesman and the chief of the Daoussak Tuareg around Ménaka, along with Colonel Assalat Ag Habi, a Chamanamas Tuareg, also based near Ménaka. The two established the group after a September 2016 split in the MNLA and joined the Platforme on September 17, 2016, after being informed that the new movement could not remain inside the CMA (Journal du Mali, September 22, 2016; RFI, September 11, 2016; Le Canard déchaîné [Bamako], September 21, 2016). Most members belong to the Daoussak or Chamanamas Tuareg (Le Repère [Bamako], January 3). Centered on the Ménaka district of Gao region, MSA joined in a pact with the CJA, the CPA and the CMFPR II in October 2016, effectively creating an alternative CMA (L’indicateur du Renouveau [Bamako], October 24, 2016). The Coordination of Azawad Movementscoalition was launched on June 9, 2014, but has lost several member groups since. The High Council for the Unity of Azawad was formed in May 2013 from a merger of the Haut Conseil de l’Azawad (HCA) and the Mouvement islamique de l’Azawad (MIA). The HCUA is led by Algabass Ag Intallah, who also acts as the head of the CMA. 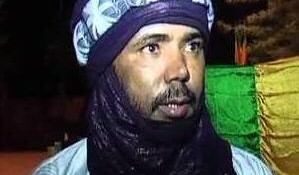 Another prominent member is Mohamed Ag Intallah, brother of Algabass and chieftain of the Ifoghas Tuareg of Kidal; deputy commander Shaykh Ag Aoussa was killed by a bomb in Kidal shortly after a meeting at a MINUSMA compound on October 9, 2016 (Journal du Mali, October 14, 2016). The movement absorbed many former members of Ansar al-Din. 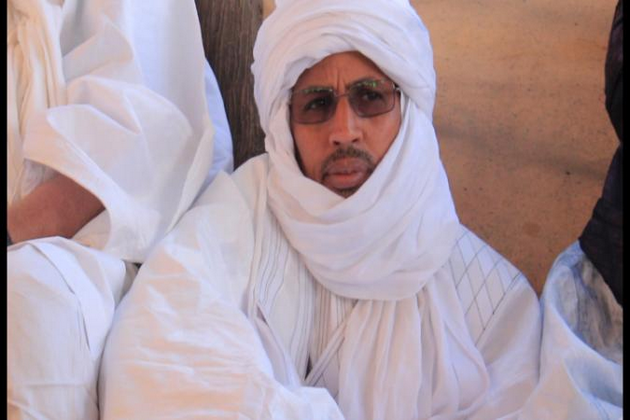 The HCUA are suspected of remaining close to Ansar al-Din, despite rivalry between Iyad Ag Ghali and the Ag Intallah brothers over the leadership of the Ifoghas Tuareg. Last year, Mohamed, who may be trying to play both sides on issues like national unity or separatism, suggested engaging in “discussions with the Malian jihadists”, saying that, “in return they will help Mali get rid of jihadists from elsewhere” (MaliActu.net, March 13, 2016). 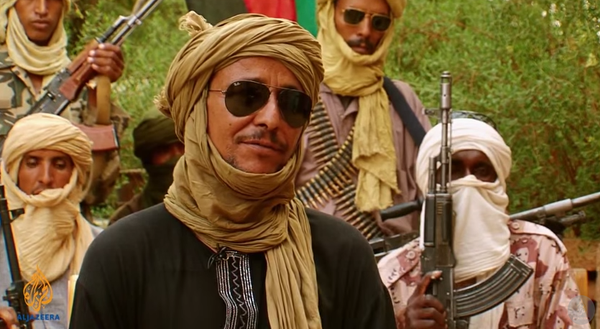 The Arab Movement of Azawad – Dissident is a breakaway group led by Sidi Ibrahim Ould Sidati. This faction of the MAA consists mainly of Bérabiche Arabs from the Timbuktu region, many of them former soldiers in the Malian army who deserted in 2012. The group rallied to the CMA in June 2014. Other MAA-D leaders include suspected narco-traffickers Dina Ould Aya (or Daya) and Mohamed Ould Aweynat. 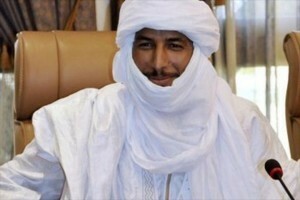 The military chief of the dissenting MAA is Colonel Hussein Ould al-Moctar “Goulam,” a defector from the Malian army. The Azawad National Liberation Movement was established in October 2010 as a secular, separatist movement. It played a major role in the 2012 rebellion until it was sidelined by the more powerful Islamist faction led by Ansar al-Din. Bilal Ag Chérif acts as the group’s secretary-general, while the military commander is Colonel Mohamed Ag Najim, an Idnan Tuareg and former officer in the Qaddafi-era Libyan army. Sub-sections of the Kel Adagh Tuareg (especially the Idnan and Taghat Mellit) are well represented in the movement. The MNLA has suffered the most in an ongoing “assassination war” between CMA groups and armed Islamist groups. Despite the strong presence of Libyan and Malian Army veterans in its ranks, the MNLA has performed poorly on the battlefield. The Coalition for the People of Azawad is led by Ibrahim Ag Mohamed Assaleh, the former head of external relations for the MNLA. Established in March 2014 by 11 founding groups after a split in the MNLA, the group was initially weakened due to organizational rivalry between Ag Mohamed Assaleh and secretary general Shaykh Mohamed Ousmane Ag Mohamedoun (now MSA leader). The CPA seeks federalism rather than independence. The movement is largely Tuareg, but claims membership from the Arab, Songhaï and Peul/Fulani communities. The Coordination of Patriotic Resistance Fronts and Movements II is a rebel-aligned faction of the CMFPR led by Ibrahim Abba Kantao, who heads the Ganda Iso movement. The group rallied to the CMA in June 2014 so as not to be left out of negotiations, with Kantao coming out against the partition of Mali (Malijet.com, July 15, 2014). 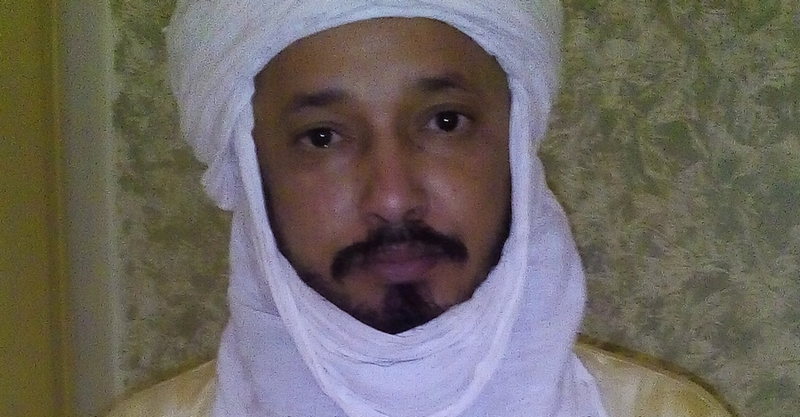 In December 2014, Kantao took the unusual step of allying his movement to the Tuareg-dominated MNLA, vowing to “ally ourselves with the devil if it is necessary for the peace and salvation of our communities” (22 Septembre, December 29, 2014). The move shocked many CMFPR II members who view the Tuareg clans as rivals for resources and political authority. A split occurred in the movement when clan disputes led to the formation of CMFPR III by Mahamane Alassane Maïga, but the circle was completed when Maïga led his movement back into CMFPR I in May 2015 (L’Indicateur du Renouveau [Bamako], May 20, 2015). The National Alliance to Safeguard Peul Identity and Restore Justice was formed in June 2016. ANSPIRJ is led by Oumar al-Janah, who describes the group as a self-defense militia that aggressively defends the rights of Fulani/Peul herding communities in Mali, but is neither jihadist nor separatist in its ideology. 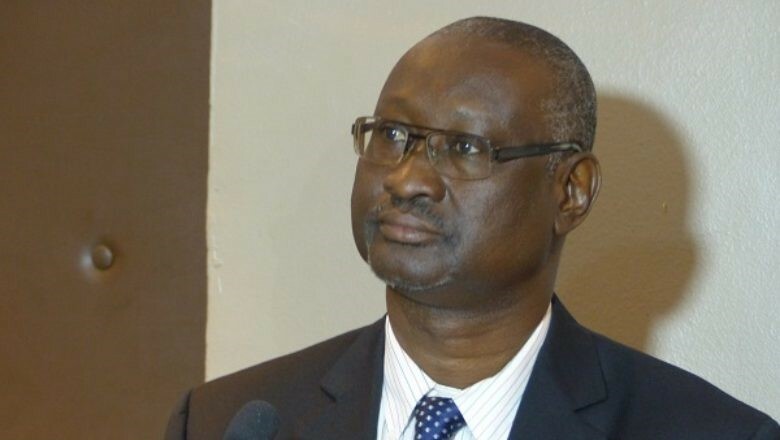 ANSPIRJ deputy leader Sidi Bakaye Cissé claims that Mali’s military treats all Fulani as jihadists: “We are far from being extremists, let alone puppets in the hands of armed movements” (Anadolu Agency, April 7, 2016). In reality, al-Janah’s movement is closely aligned with Ansar al-Din and claimed participation in a coordinated attack with that group on a Malian military base at Nampala on July 19, 2016 that killed 17 soldiers and left the base in flames (Mali Actu/AFP, July 19, 2016; Jeune Afrique/AFP, July 19, 2016). ANSPIRJ’s Fulani military Amir, Mahmoud Barry (aka Abu Yehiya), was arrested near Nampala on July 27 (AFP, July 27, 2016). Led by long-time rebel and jihadist Iyad ag Ghali, a leading member of the Ifoghas Tuareg of Kidal and veteran of Muammar Qaddafi’s Islamic Legion. Ag Ghali is a noted military leader and sworn enemy of GATIA leader Brigadier al-Hajj Ag Gamou. Ansar al-Din, with a mix of Tuareg, Arab and Fulani members, carries out regular attacks on French military installations or bases of the MINUSMA peacekeepers in northern Mali. 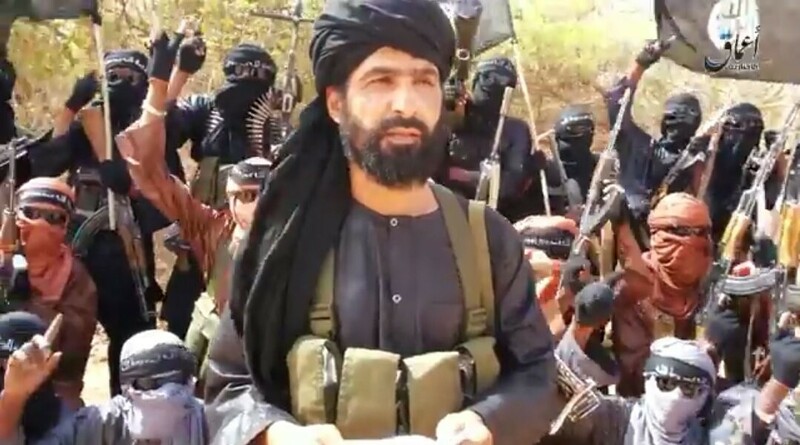 The French believe Ag Ghali is “an enemy of peace” and remains Operation Barkhane’s number two target after Mokhar Belmokhtar (RFI, February 20, 2016; MaliActu.net, March 13, 2016). Ansar al-Din’s weapons specialist, Haroun Sa’id (aka Abu Jamal), an ex-officer of the Malian Army, was killed in a French air raid in April 2014. Ansar al-Din Sud is sub-group formerly led by Souleymane Keïta, who was arrested in March 2016 by the Malian Secret Service. The group emerged in June 2015 with operations near the border with Côte d’Ivoire (Sikasso region) followed by further terrorist operations in central Mali. 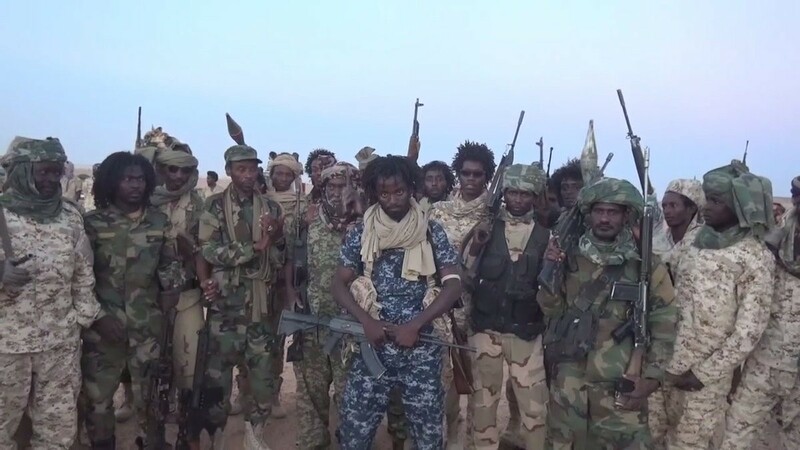 The Macina Liberation Front (aka Katiba Macina or Ansar al-Din Macina) is a largely Fulani jihadist movement led by Salafi preacher Hamadoun Koufa. Based in the Mopti region (central Mali), the group takes its name from a 19th century Fulani Islamic state. The Islamists have succeeded in recruiting young Fulanis by playing up the traditional Fulani leadership’s inability to defend its people from Tuareg attacks or cattle-rustling. The movement allied itself with Ansar al-Din in May 2016, but split again earlier this year in the midst of diverging agendas and racial tensions (MaliActu.net, January 7, 2017, January 20, 2017). The FLM claimed responsibility for the July 19, 2016 attack on the Malian military barracks in Nampala that claimed the lives of 17 soldiers and wounded over 30 more (@Rimaah_01, on Twitter, July 19, 2016). The Islamic State (IS) has made steady inroads in northern Mali over the last two years and may benefit from the arrival of IS fighters and commanders fleeing defeat in Libya. Adnan Abu Walid al-Sahrawi, a former al-Murabitun commander, publicly pledged allegiance to IS, together with his commanders, in May 2015, although IS only recognized the transfer of allegiance in October 2016. His defection to IS was publicly denounced by Mokhtar Belmokhtar (who said al-Sahrawi did not have any authority) and deplored by AQIM’s Saharan emir Yahya Abu al-Houmam (aka Djamel Okacha), who suggested ties with al-Sahrawi had not been irrevocably broken but nonetheless rejected the legitimacy of IS’ “so-called Caliphate” (al-Akhbar [Nouakchott], January 10, 2016). Al-Sahrawi’s fighters now form the IS’ Saharan battalion. Recent reports suggest that Hamadoun Koufa of the FLM has been discussing collaboration in the creation of a new Fulani caliphate in the Sahel in what is seen as a betrayal of his sponsor, Ansar al-Din’s Iyad Ag Ghali (MaliActu.net, January 6, 2017; January 7, 2017). The leader of the Fulani contingent of IS-Sahara is Nampala Ilassou Djibo. 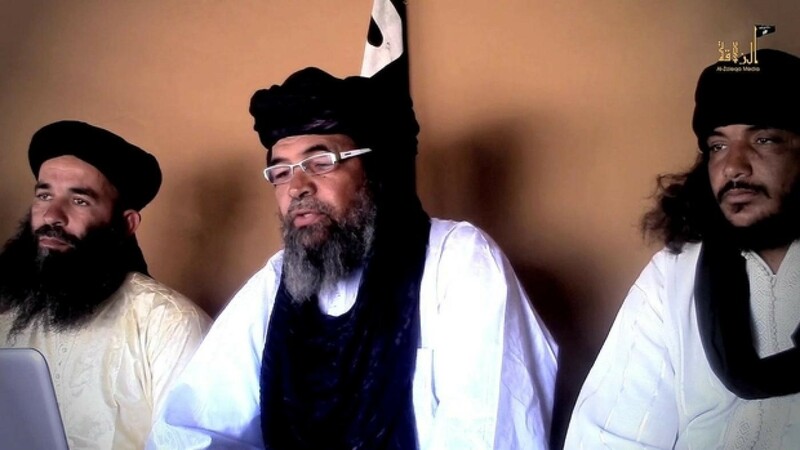 Mauritanian Hamada Ould Muhammad al-Kheirou (aka Abu Qum Qum), the former leader of MUJAO, also pledged allegiance to IS in 2015 (El-Khabar [Algiers] via BBC Monitoring, November 13, 2015). The Movement for Unity and Jihad in West Africa includes certain elements that appear to still be operating in Niger after the group’s hold on northern Mali was shattered in 2013 by France’s Operation Serval. Most of the movement joined al-Murabitun in that year, while other members drifted into various ethnic-based militias. MUJAO’s military commander, Bérabiche Arab Omar Ould Hamaha, was killed by French Special Forces in March 2014. Commander Ahmed al-Tilemsi (aka Abd al-Rahman Ould Amar), a Lamhar Arab and known drug trafficker, was killed by French Special Forces in the Gao region of northern Mali on December 11, 2014. The group claimed responsibility for the January 17 car-bomb attack in Gao that killed 77 members of the Malian Army and CMA groups, which it said was carried out by a Fulani recruit, Abd al-Hadi al-Fulani (al-Akhbar [Nouakchott), January 18). Fulani and Songhaï may now be found alongside the dominant Arab and Tuareg elements in the group. 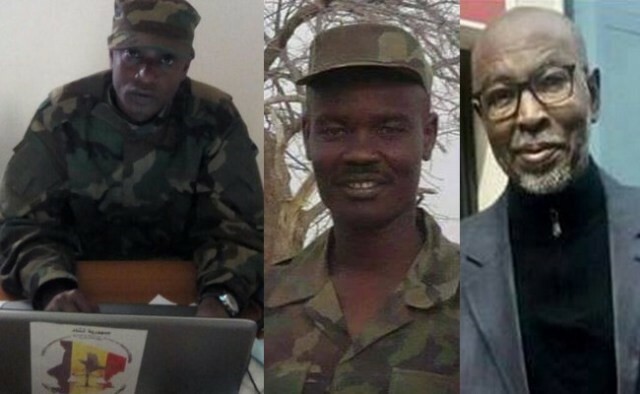 Al-Murabitun’s foreign recruits are mostly from Algeria, Niger and Tunisia (RFI, May 14, 2014). The group rejoined AQIM in December 2015. Al-Qaeda in the Islamic Maghreb appears to have been reenergized by the re-absorption of the Mokhtar Belmokhtar-led al-Murabitun splinter group in December 2015. It has since carried out several attacks intended to re-affirm its presence in the Sahel region at a time when the movement’s role as the region’s preeminent Islamist militant group is being challenged by IS. The emir of the Saharan branch of AQIM is Algerian Yahya Abu al-Houmam (aka Djamel Okacha), a jihadist since 1998. The group operates primarily in the Timbuktu region. Katiba al-Furqan: Based in the Timbuktu region, the brigade has been led by Mauritanian/Libyan Abd al-Rahman Talha al-Libi since September 2013. Al-Libi replaced Mauritanian Mohamed Lemine Ould al-Hassan (aka Abdallah al-Chinguitti), who was killed by French forces in early 2013 (Jeune Afrique, September 27, 2013). Al-Libi accuses France of “seeking to create a tribal conflict after the failure of its intervention in northern Mali” (aBamako.com via BBC Monitoring, December 2, 2015). Katiba Yusuf ibn Tachfin: Formed in November 2012, this mostly Tuareg group is named for the Berber leader of the North African-Andalusian Almoravid Empire (c.1061-1106) and is led by Abd al-Krim al-Kidali (aka Sidan Ag Hitta), formerly of Katiba al-Ansar. 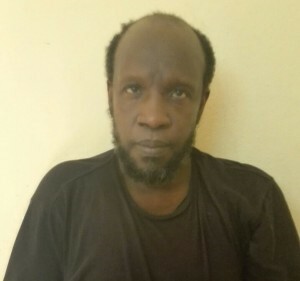 Ag Hitta, a former sergeant-chef and deserter from the Malian National Guard, reportedly defected from AQIM and sought refuge from the MNLA during the battles of February 2013 (Le Figaro, March 3, 2013). He has since resumed jihadist activities but is regarded by many as little more than a bandit chief. The unit operates mostly in the mountainous Adrar Tigharghar region of Kidal. CJA allied with the MSA, the CPA and the CMFPR II in October 2016 (L’indicateur du Renouveau [Bamako], October 24, 2016). 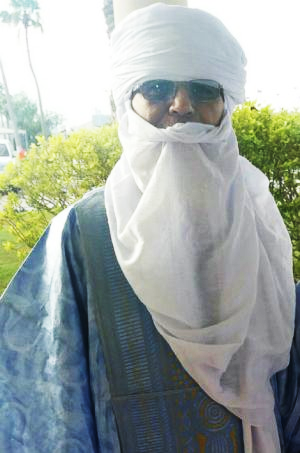 The group has the support of Kel Antessar Tuareg leader Abd al-Majid Ag Mohamed Ahmad (aka Nasser), who is alleged to have supported the ouster of Ag Mahmoud (L’indicateur du Renouveau [Bamako], January 18). Now based in Mauritania, Ag Mahmoud retains the support of many CJA members who are unhappy with the change in leadership. The CJA operates mainly in the Kel Antessar regions of Timbuktu and Taoudeni. The Liberation Forces of Northern Mali was created in 2012 from elements of the Ganda Koy and Ganda Iso (Fulani/Peul and Songhaï militias). CMFPR II leader Ibrahim Abba Kantao is an official with the group, which opposes the return of the Malian Army to northern Mali (L’Indicateur du renouveau [Bamako], April 21, 2015). 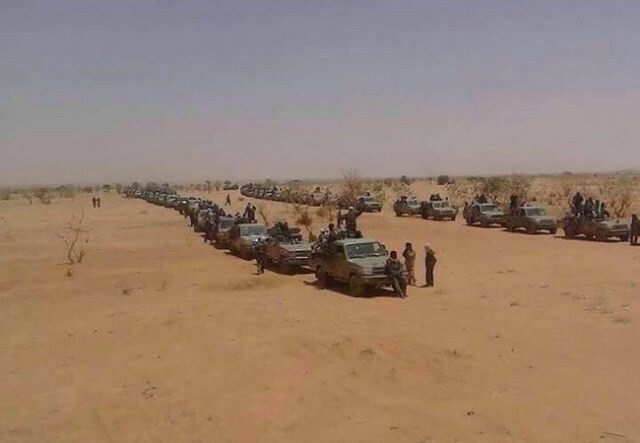 The Popular Movement for the Salvation of Azawad is an Arab movement that is the result of a split in the MAA, with the dissidents who formed the MPSA claiming they wanted to remove themselves from the influence of AQIM (Anadolu Agency, August 31, 2014). The group seeks self-determination for the north rather than independence but does not appear to be particularly influential. The Movement for Justice and Freedom was formed in September 2016. It is made up of Arab former members of the MAA in the Timbuktu region who announced they would no longer endorse the “unjustified war adventures” of the CMA coalition, in which the MAA was a main component. The movement’s chairman is Sidi Mohamed Ould Mohamed, who has moved the MJL closer to the Platforme by seeking implementation of the Algiers Accords. The MJL is centered on the Ber district of Timbuktu region (Le Repère [Bamako], January 3, 2017). Mission Multidimensionnelle Intégrée des Nations unies pour la stabilisation au Maul (MINUSMA), the UN’s mission in Mali, is regarded by the CMA as being in league with the Platforme forces, though other sources accuse it of intervening against GATIA, the strongest unit in the Platforme coalition (Le Malien, August 1, 2016). 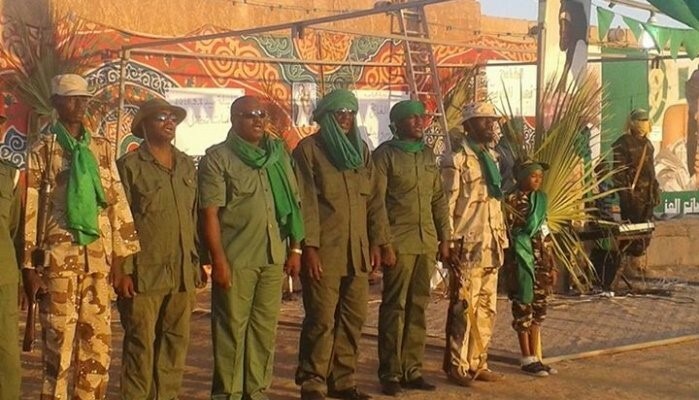 The militias that banded together in 2012 under the CMFPR umbrella include: Ganda Iso (Sons of the Land), Ganda Koy (Lords of the Land), Alliance des communautés de la région de Tombouctou (ACRT), Front de libération des régions Nord du Mali (FLN), Cercle de réflexion et d’action (CRA) and the Force armée contre l’occupation (FACO). See also: Ibrahim Maïga, “Armed Groups in Mali: Beyond the Labels,” West Africa Report 17, Institute for Security Studies, Pretoria, (June 2016). Available here. Ministère de la Défense, “Sahel: deux importants chefs terroristes mis hors de combat” (May 20, 2015). Available here. Alain Rodier, “Note d’actualité N°365: Al-Qaida au Maghreb Islamique à la Croisée des Chemins?” Centre Français de Recherche sur le Renseignement, Paris, (August 17, 2014). Available here. Communiqué du Congres pour la Justice dans l’Azawad, Communiqué 005/CJA-BE/14-2017, (January 16). Available here. This article first appeared in the January 25, 2017 issue of the Jamestown Foundation’s Terrorism Monitor. The continuing break-up of al-Qaeda in the Islamic Maghreb into northern and southern factions under rival commanders Abd al-Malik Droukdel and Mokhtar Belmokhtar has presented Algerian authorities with the necessity of fighting a two-front war against factions interested in establishing their dominance by striking security targets within the country. 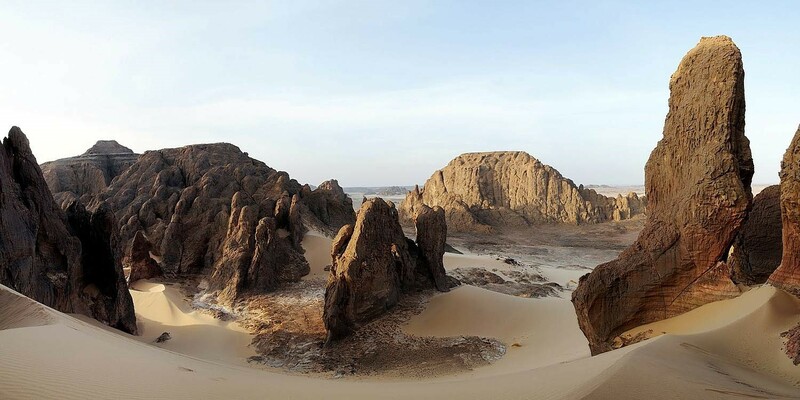 Algerian security operations along the border with the Kidal region of northern Mali led to the death of a dozen Islamist militants in the southern Tamanrasset region (Algeria’s 6th military district). The May 5 military operation by the Algerian Armée nationale populaire (ANP) took place in the Taoundert Commune, some 80 kilometers west of the border town of Tin-Zouatine, a regional smuggling center. Recently re-elected Algerian president Abd al-Aziz Bouteflika later claimed that the group of 20 to 30 militants were attempting to infiltrate Algeria and included elements from Mali, Libya and Tunisia, though its exact destination and purpose remain unknown (Reuters, May 7). The operation provided some measure of revenge for the ANP after at least 11 Algerian soldiers were killed in an ambush carried out by AQIM on a military convoy in the mountainous Tizi Ouzou region east of Algiers (Algeria’s 1st military district) on April 19 (BBC, April 20). The troops were returning to base after having secured polling stations in Tizi Ouzou for the presidential election. At roughly the same time, security forces in the Djanet district (Algeria’s 4th military district) close to the border with southwestern Libya uncovered another cache of what appeared to be weapons looted from Libyan armories, including 87 Russian S-5KO rockets, a relatively inaccurate Russian-made rocket designed for use by aircraft and helicopters but re-adapted for use from a truck-bed or a man-pad system in Libya (Algeria Press Service, May 6). Found buried in the sand with the rockets was an improvised rocket launcher (al-Watan [Algiers], May 7). A further gun battle near Tin Zaouatine resulted in the death of two militants, bringing the death toll up to 12 (Naharnet.com, May 12). The April 30 pledge of allegiance by Mokhtar Belmokhtar (a.k.a. Khalid Abu al-Abbas) to al-Qaeda leader Ayman al-Zawahiri (in which he called al-Zawahiri “our Amir”) and his recognition of the legacy of Osama bin Laden and Abdullah Azzam appears to be yet another demonstration of his rejection of the leadership of AQIM leader Abd al-Malik Droukdel (AFP, May 1). 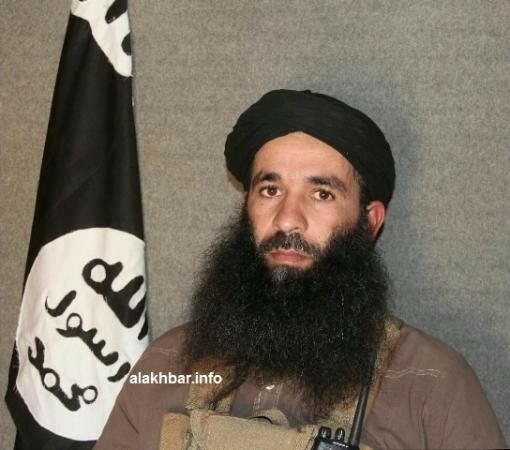 At the moment, Droukdel’s AQIM and Belmokhtar’s Libyan-based al-Murabitun movement seem to be engaged in a bitter rivalry at the moment, though so far their contest is being carried out through attacks on Algerian targets rather than group-on-group clashes like those witnessed between the Islamic State of Iraq and Syria (ISIS) and the al-Qaeda sponsored al-Nusra Front in Syria. With Droukdel’s faction operating in northern Algeria and Belmokhtar’s faction operating in the remote south, such inter-Islamist clashes appear unlikely in Algeria. Though the United States has opened the possibility of supplying Algeria with surveillance drones to help monitor the vast desert wilderness of southern Algeria, it has refused to supply Algeria (or other nations, for that matter) with attack drones of the type deployed by the CIA and the U.S. Department of Defense (al-Jazeera, May 9). Meanwhile, Algeria has denied a U.S. proposal delivered by Secretary of State John Kerry to set up a base for drone operations in southern Algeria (al-Jazeera, May 11). This article was first published in the May 15, 2014 issue of the Jamestown Foundation’s Terrorism Monitor. Despite living in the midst of some of the world’s most open and sparsely populated spaces, Libya’s southern tribes are engaged in a new round of bitter urban warfare, as snipers, gun-battles and mortar fire take a heavy toll on the civilian population. 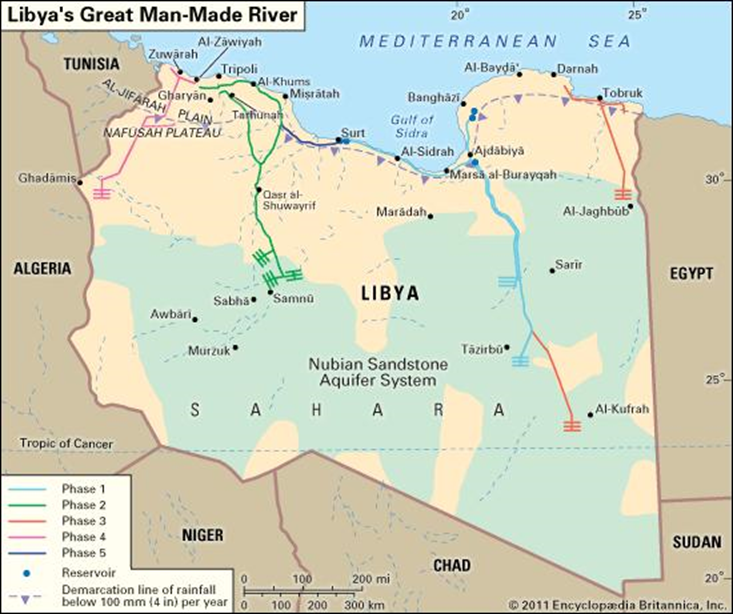 At stake are control over the abundant resources of the Libyan south, the heavy traffic of its trade routes (both licit and illicit) and the future of tribal and ethnic relations in a post-Qaddafist south. Simultaneous with these disputes, however, is the mysterious and oddly-timed emergence of “Qaddafist supporters” waving green flags (the symbol of the Qaddafist revolution) in several different Libyan centers, most notably in the southern oasis settlement of Sabha, where they were alleged to have seized an airbase. In March 2012, three days of vicious fighting in Sabha that began as a dispute between the Tubu and the Arab Abu Seif and morphed into a battle between the Tubu and the Awlad Sulayman left 40 Tubu and 30 Arabs dead. After a ceasefire ended the fighting by the end of the month, serious clashes erupted in Sabha once more on January 11. Tubu militants directed mortar fire into Sabha from the edge of town, targeting Awlad Sulayman neighborhoods. The street violence reached such a peak that the Sabha National Security Directorate admitted it no longer had the resources to even attempt to maintain law and order. The Sabha Local Council was forced to suspend operations in late December. On January 17, mortars struck the residence of Sabha’s military governor. The region is desperately short of medical supplies, a situation worsened by gunmen who stole part of an emergency shipment of medical supplies from the UAE and an attack on the Sabha hospital (Libya Herald, January 17; January 20). It appears to have been fallout from this earlier struggle that sparked the latest clashes, as Tubu gunmen from Murzuk stormed a Traghen police station (140 kilometers south of Sabha) on January 9. The gunmen ignored a number of high value targets as they searched specifically for al-Haq Brigade leader Mansur al-Aswad, the deputy commander of the Sabha military zone. The brigade leader was eventually found and murdered, allegedly in retaliation for crimes committed by his Abu Seif militia during the 2012 clashes in Sabha (Libya Herald, January 10). Both the Tubu and Zuwaya, rivals in Kufra, have communities in the coastal city of Ajdabiya, that city being the northern terminus of the trade routes that run through Kufra to the north. The conflict has traveled north through this route to Ajdabiya, where a Zuwaya unit under the command of the general staff has had deadly clashes with a Tubu unit under the command of the Defense Ministry (AFP, December 23, 2013). The transfer of the castle, still used for military purposes and detentions, to the Ministry of Tourism (Libya Herald, January 22).